Integrating maintenance tracking and flight planning offers greater efficiency, while air taxi operator uses Traxxall to boost competitive advantage. Traxxall Technologies, providers of innovative aircraft maintenance tracking systems, today announced a partnership with RocketRoute, developers of cloud-based flight planning systems, and new client GlobeAir, a leading air taxi operator based in Austria. Traxxall Technologies was founded on the conclusion that pre-existing aircraft maintenance tracking systems were inadequate. A “clean sheet” solution, Traxxall offers the flexibility that the business aviation industry demands. In addition to offering technological excellence, Traxxall’s “peer-to-peer” service and support are delivered by business aviation experts. RocketRoute is a service that interoperates seamlessly with any mobile device. Currently used in more than 70 countries, RocketRoute has in excess of 100,000 registered users. The integration of maintenance tracking and flight planning is exceptionally practical. The filing process generates precise estimated distances and flight hours. This data is automatically cross referenced with records and maintenance milestones are projected. The benefits for business aircraft operators include increased efficiency, ease-of-use and the confidence of knowing that maintenance needs are being calculated before take-off. Air charter company GlobeAir uses Traxxall to manage the maintenance tracking of its fleet of 14 Cessna Citation Mustangs – making it the largest Mustang fleet operator in the world. “In order to be competitive, productivity is central to all aspects of our operations. Traxxall contributes to our overall efficiency by making aircraft maintenance tracking more transparent, more accessible and more reliable. These benefits help us manage aircraft downtime with greater precision. Choosing Traxxall has been a very good decision for our company,” says Claudio Bruno, Chief Operating Officer, GlobeAir. Traxxall delivers the most innovative aircraft maintenance tracking system on the market today. Founded in 2013 and headquartered in Montreal, Canada, Traxxall has sales and support staff across the US and a sales office in London, serving Europe, the Middle East and Asia. For more information, please visit http://www.traxxall.com. GlobeAir is a private jet company based in Austria, Europe´s market leader in the very light jet market segment, offering ad hoc charter flights at affordable fares. 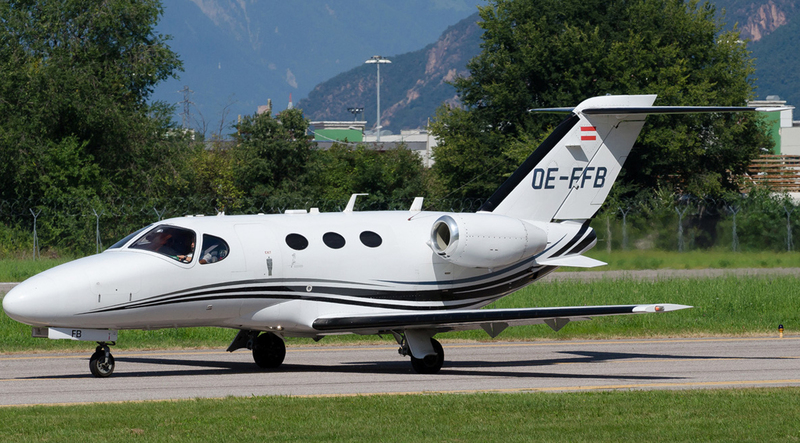 GlobeAir operates the world´s largest fleet of modern Citation Mustang jets, which are capable of landing at airports such as St. Tropez, Lugano and St. Moritz, typically inaccessible to traditional airlines and larger private jets. For additional information, please visit: http://www.GlobeAir.com, or contact Claudia Fanini, T: +43 664 966 2688, E: claudia(dot)fanini(at)globeair(dot)com.